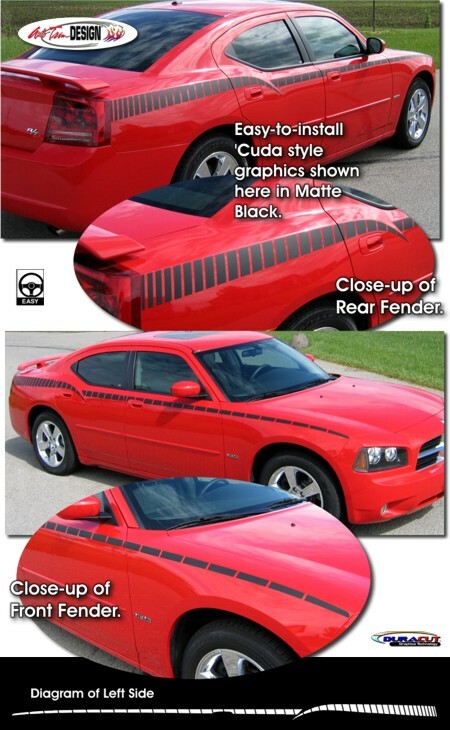 Set your '06-'10 Dodge Charger apart from the rest with this classic AAR 'Cuda style body side graphic set. Available in a wide variety of colors, graphic measures 167.93" (426.54cm) in length and is packaged with one (1) left and one (1) right side graphic. Graphic is designed to simply install at the top body line as shown and requires slight trimming at each door jamb and fuel door once installed.